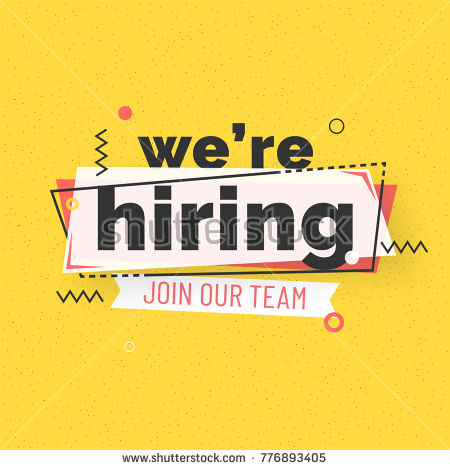 Vacancy: CONSULTANT TO ANALYSE REPORT AND DEVELOP BUDGET BRIEFS IN INFOGRAPHIC FORMAT ON NUTRITION BUDGET AT THE FCT AND IN FIVE STATES; KWARA, IMO, GOMBE, OYO and RIVERS. The Civil Society Scaling-Up Nutrition in Nigeria (CS-SUNN) is a non-governmental, non-profit making coalition, made up of organizations with a shared vision to transform Nigeria into a country where every citizen has food and is nutrition secured. CS-SUNN pursues this lofty goal by engaging and mobilizing Government and Non-state actors to advocate for relevant policy implementation, raise awareness, generate evidence, build capacity and stimulate communities to scale-up nutrition in Nigeria, with special focus on maternal and child nutrition. The organizational capacity of CS-SUNN to become a leading voice on nutrition advocacy in Nigeria led to the SUN Movement Pooled Fund Project. Over the last 10 years, the government of Nigeria has never budgeted or spent up to the African Union proposed 15% of national budget on Health which Nigeria is a signatory to and the 1% consolidated revenue fund designed to operationalize the 2014 National Health Act was still not captured in the 2017 budget 3 years after. Government funding for nutrition in the country has also been abysmal especially on high impact interventions like IYCF, Maternal Nutrition and staple food fortification, as shown in the 2018 budget submitted to the House of Assembly, where a paltry sum of 30 million naira was proposed. The need to generate evidence that clearly shows whether government spending on such key interventions are adequate or not and also if allocated funds for both health and nutrition are released as at when due, utilized judiciously for what they are meant for as captured in the appropriation acts of each project location, is germane to improving the health and nutritional status of Nigerians, a core prayer of the Pooled Fund Project. It is important that a concise and pictorial description of the issue of low health budgeting and its implication for health/nutrition in Nigeria be produced. This will provide respective legislators and other stakeholders in project locations a better understanding of where we are at as against where we ought to be in relation to funding for health and nutrition. To this effect, CS-SUNN requires the services of a well experienced expert to collect budgets and budget performance information from 2015 to 2018, analyze and come up with a comprehensive report and budget infographics for use as evidence to engage in advocacy and campaigns. The analysis will look at funding trends, nutrition funding, legal implications of poor funding, compare focal states budget for nutrition and come up with smart recommendations. The purpose of this assignment is to firstly, conduct a budget analysis for nutrition funding at the focal states (Rivers, Gombe, Kwara, Imo, Oyo and FCT). It will particularly focus on funding for high impact nutrition interventions like; IYCF, Maternal Nutrition, staple food fortification and secondly, to develop budget infographics with a call to action for improving, release and efficient use of funding for nutrition. Conduct a 3-year (2016-2018) trend analysis of health and nutrition budget at the focal states (Rivers, Gombe, Kwara, Imo, Oyo and FCT). The analysis will also focus on funding trend for high impact interventions like IYCF, Maternal Nutrition and staple food fortification. Develop budget infographics on findings from trend analysis with smart recommendations to address gaps in funding commitments at federal and focal states. Do a comparative trend analysis of nutrition budget of focal states in Nigeria (Rivers, Gombe, Kwara, Imo, Oyo and FCT). to provoke healthy competition among states in nutrition funding. Develop power point presentation of findings for use in engaging in advocacy to Executives, Legislators and policy makers. Budget infographics on findings from trend analysis with smart recommendations to address gaps in funding commitments at the focal states. Final report on a five-year (2016-2018) trend analysis of nutrition budget at the focal states (Rivers, Gombe, Kwara, Imo, Oyo and FCT). The consultant should have extensive knowledge of the Nigerian health/Nutrition systems, budget analysis with experience in implementing public health programmes, especially MNCH and nutrition-related services. An advanced degree in Health Planning, Health Economics and Financing, and related disciplines is a must. S/He should have an in-depth understanding of the Nigerian budget process and cycles. S/He must also be able to show clearly through past works; ability to conduct budget analysis, develop infographics and effectively relate budget information to developmental issues to spur action from policymakers. – Financial offer including: (a) daily consultancy fee– all taxes and duties included; (b) travel, accommodation and subsistence costs (if applicable). The assignment will be carried out in Abuja and at the focal states (Rivers, Gombe, Kwara, Imo, Oyo and FCT) and will last for 25 working days in the month of September/October 2018. Assignment must be completed and final submissions made by close of business of the 5th of October, 2018. Interested candidates should send their complete offer via mail to [email protected] and or [email protected] on or before Thursday 20th September, 2018. 33 Imo Crescent, Area 1, Garki, Abuja.